We took the decision to cycle this little loop in Uruguay because it matched perfectly with my family affaires for which I came here first of all. Cycling in Uruguay isn´t really exciting as the landscape is mostly pampas, only the region of “Minas” is a little bit mountainous and the has scenery roads to cycle. Uruguay doesn´t come along with a typical culture either, so in the little towns and villages there´s not much to see, though some of them are idyllic just the way they are. The campings were mostly basic referring to the facilities but the terrain was always nice with big trees that provide you with shade, because the heat in Uruguay can be exhausting. Hotels, hostels or posadas are quite expensive, although far away from luxury. Count with 30-40USD for a simple room with private bath. Food also is quite expensive. More or less the same as in Germany. So it´s not a very cheap country for travelers. What was really nice were the people. Everywhere very helpful, very friendly. We can tell only very good experiences. Traffic also is very little what makes cycling a pleasure, although the constant humps can go on your nerves sometimes. There´s hardly one meter of flat street in Uruguay-at least where we´ve been cycling. So you do between 400 and 1000m of altitude meters every day, although you hardly ever cycle a real mountain. In the bigger towns and places there´s a little bit more traffic but the majority of the drivers show respect which is quite unusual in Latin America, so that was an enjoyable difference. 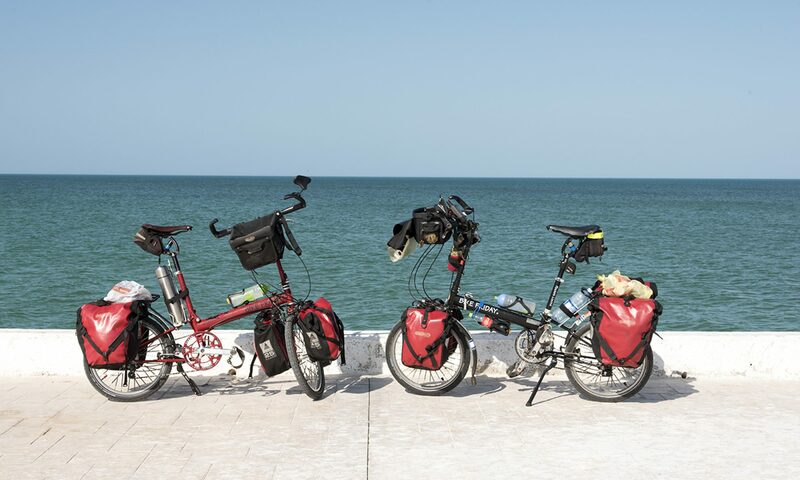 If you ever should cycle Uruguay be aware of the fact, that you have to provide yourself with enough water and food for the stretches, because mostly there´s no possibility to buy something in between. It´s nice to cycle on secondary roads, but they are often unpaved, which makes cycling more adventurous but also hard sometimes: there can be deep sand or those washboard patterns in the ground and you can go only very slowly. So the bottom line is that Uruguay is not exactly the highlight of South America. There is a lot more to see e.g. in Argentina or Mexico but it´s easy cycling, good weather and nice people.